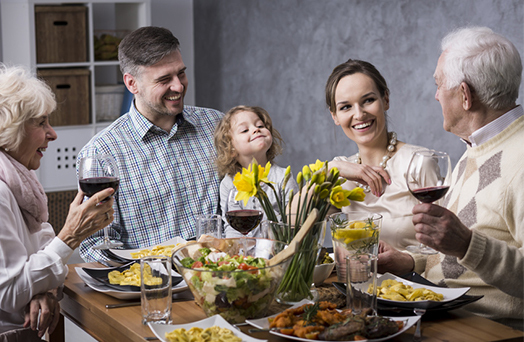 The Halina Brand with its products has been present at Polish homes for 19 years; they are together with us at the most important moments, meals shared with our family members and friends. Thanks to its wide offer - from rice and groats through legumes up to breakfast flakes - we can enjoy them any time during the day and be sure that our closest are provided with the top-quality products. With rice, groats and other products branded with the Halina logo in our kitchen cupboards, there are no worries we do not have to worry that we spoil this or that meal. All Halina-branded items are made of the highest-quality sorts of cereals and legumes, so we are guaranteed that, while making meals using its products, we provide our body with all the essential nutrients. The topquality is also confirmed by various certificates granted to Sawex for years, for example the IFS (International Food Standard) Certificate which is an international standard for food safety developed in 2002 by representatives of the German retail trade. Pomeranian province was commissioned for service. It deals, among others, with sorting and packing finished goods, which then safely reach store shelves and finally our homes.